Electronic payments are everywhere. Is it time for cash to take a hike? Can mobile phones replace the good ol' fashioned wallet? Every day, all over the world, currency is minted and printed in huge quantities. That currency gets jammed into pockets and organised in tills, folded inside wallets and stuffed into envelopes, paid into bank accounts and stored underneath mattresses. Money is all around us, and yet none of it actually exists. Our notes and coins and the numbers we see in our online bank accounts are mere IOUs - promises from people we'll never meet that we'll never redeem. Currency is just information, and if there's one thing computers are good at, it's dealing with information. Will the future of money be electronic? Google, Apple and a whole host of tech firms believe that the answer could be yes. By 2015, cash could be looking like an endangered species. Oyster-style smartcards will pay for travel throughout the country, and time-pressed commuters will pay for their coffees with swipes of their mobiles rather than jingling change. Music, movies and magazines will charge our iTunes, Amazon or Google accounts for tiny amounts as we download, and we'll lend one another tenners by tapping our mobile phones together. Cash might not be the only endangered species either; some experts believe that in the not too distant future, Sterling and other familiar currencies may be supplanted by entirely electronic currencies such as Facebook credits or Bitcoins. "In the digital goods segment there is significant growth, particularly in ticketing and specifically in the airline industry. The market is maturing. 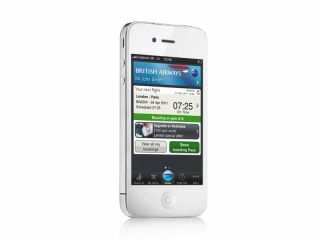 Following the IATA-led transition to barcoded paper boarding passes, growing numbers of airlines have taken the next step by delivering mobile boarding passes and adding the ability to book tickets by mobile device. Add to this information services available through the mobile phone and this industry is close to becoming end-to-end digital on the mobile device". Google's NFC payment system, Google Wallet, will go live in New York and San Francisco this summer, and Executive Chairman Eric Schmidt predicts that a third of retailers there will accept Google Wallet by next year. Speaking to the Financial Times, Schmidt said: "The terminals are available, the software is available now or this summer. How long does it take an infrastructure player to upgrade a significant percentage of their infrastructure? It's in the order of a year. It's not a week, it's not a month, but it's also not five years." Eric Schmidt isn't the only tech boss singing the praises of e-payments. Following Google's lead, Apple and RIM are reportedly bringing NFC chips to their phones, and PayPal President Scott Thompson predicts that by 2015, the wallet will be a museum piece. "We believe that by 2015 digital currency will be accepted everywhere in the US - from your local corner store to Wal-Mart," he writes. "We will no longer need to carry a wallet." Feeling deja vu? Bill Gates was banging on about electronic wallets back in 1994, and yet we're still carrying bits of paper around with us. So what's different this time? Rob Skinner, PayPal's UK Head of PR, says that technology has finally caught up. "The big difference this time is the huge growth in smartphones and other connected devices," he says. "Most of us never leave home without our phone, and you can now use it to pay for things on the high street. For example, you can pay for your meal at the table in Pizza Express with your iPhone via PayPal. "The line between the online world and the high street is blurring fast - and the next couple of years will see the line disappearing. We may still carry a wallet - but our phones will be able to do the same job. Think of it as money's digital switchover." There's an element of boosterism going on here - PayPal, of course, has a vested interest in getting everyone to use what it calls "online alternative payments" - but such payments are becoming increasingly popular. PayPal's Director of Merchant Services, Bill Zielke, reports that 46 per cent of online consumers have used online payments such as PayPal within the last year, and the trend is definitely upwards. According to Juniper research, the mobile payments market will reach $670 billion (£420 billion) by 2015. In the UK, Everything Everywhere - the parent company of Orange and T-Mobile - has teamed up with Barclaycard to bring contactless payments to British phone users, embedding NFC circuitry in SIM cards for devices that don't already have NFC chips. The firm has also teamed up with Vodafone and O2's parent company Telefonica to develop a single, standard platform for NFC payments, coupons and tickets, and the resulting logo will turn up on shop tills and anywhere else NFC payments are accepted. Everything Everywhere's Chief Development Officer, Gerry McQuade, says: "It's a cultural shift that is as important as the launch of the personal credit cards or ATMs. Very soon, using your mobile to buy a sandwich, a cinema ticket, or in time even something bigger like a computer will simply be the norm." It seems that the keenest would-be NFC users are the cash-rich and time-poor: earlier this year, a survey by marketing firm Acxiom found that one in five UK consumers was keen to use NFC payments, and that the keenest early adopters are married couples aged 45-54 who shop at Sainsbury's Local, Tesco Metro, Waitrose and M&S, earn more than £40,000 per year and own at least two prestige cars. So what's the appeal? The big one is convenience. If you've bought online from a new retailer and paid using your PayPal account, you'll know that it's much faster than paying with a debit or credit card. There's no search for your wallet or purse, no fiddling around to find the right card and no need to enter a string of digits, verification code, expiry date, bits of your address and so on: you simply log in to PayPal and approve the transaction. Similarly, an Oyster card or NFC-enabled parking meter means you don't need to worry about finding the right - or any - change; simply wave the card or phone and the transaction is complete. Of course, in order to make a purchase you need to have available funds. Different systems take different approaches: PayPal takes money from your PayPal account balance first, and if that's not sufficient it uses your debit card or a direct debit instruction to take money from your bank. Phone-based systems are more likely to use direct operator billing, with the purchases appearing on your monthly statement (or reducing your pay as you go balance) in much the same way that premium SMS messages do. Other platforms, such as Amazon Payments or iTunes, get their funds from stored debit or credit cards. It's all very impressive stuff, but what happens if somebody steals your smartphone?